Prime Minister, Narendra Modi meeting the Prime Minister of Bhutan, Dr. Lotay Tshering, at Hyderabad House, in New Delhi on December 28, 2018. Prime Minister Lotay Tshering of Bhutan, accompanied by Tandi Dorji, Minister for Foreign Affairs, Loknath Sharma, Minister for Economic Affairs and senior officials from the Royal Government of Bhutan, visited India from December 27 to December 29, 2018 on invitation of Prime Minister Narendra Modi. This was PM Tshering's first overseas visit after assuming the office in November 2018. He was given a ceremonial welcome at the Rashtrapati Bhavan, had discussions with PM Modi and later had a series of delegation level bilateral talks to strengthen India-Bhutan relationship. Tshering's visit took place during the Golden Jubilee year of the establishment of formal diplomatic relations between India and Bhutan. Modi and Tshering held detailed discussion on a wide range of bilateral and regional issues of mutual interest, and expressed satisfaction at the excellent state of bilateral ties of friendship and cooperation. 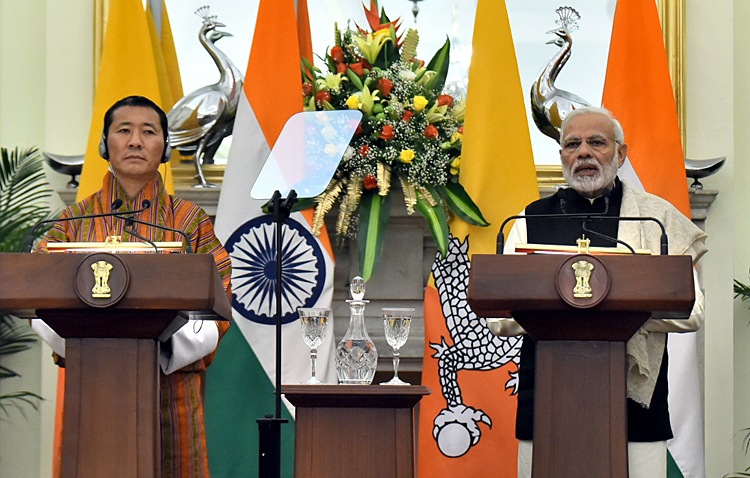 Modi stated that in line with India's 'Neighbourhood First' policy, India is firmly committed to partner Bhutan in its quest for development and economic prosperity based on the priorities of Bhutan. Both sides discussed India's development assistance for Bhutan's 12th Five Year Plan (November 2018 to October 2023). India will provide assistance of INR 4500 cr for Bhutan's 12th Five Year Plan, and a transitional Trade Support Facility of INR 400 cr over a period of five years to strengthen bilateral trade and economic linkages. The two sides also discussed Bhutan's priorities in the health sector. In terms of ongoing hydroelectric projects in Bhutan, both PMs: reiterated commitment to jointly develop 10,000 MWs of hydropower generating capacity in Bhutan and in this regard discussed the Sankosh Hydropower Project; expressed satisfaction over progress of the 720 MW Mangdechhu hydro-power project, and; welcomed mutually beneficial understanding reached on tariff for export of surplus power from Mangdechhu project to India. Both sides reaffirmed their commitment to further strengthen co-operation in all areas of mutual interest and to take the bilateral partnership to newer heights. 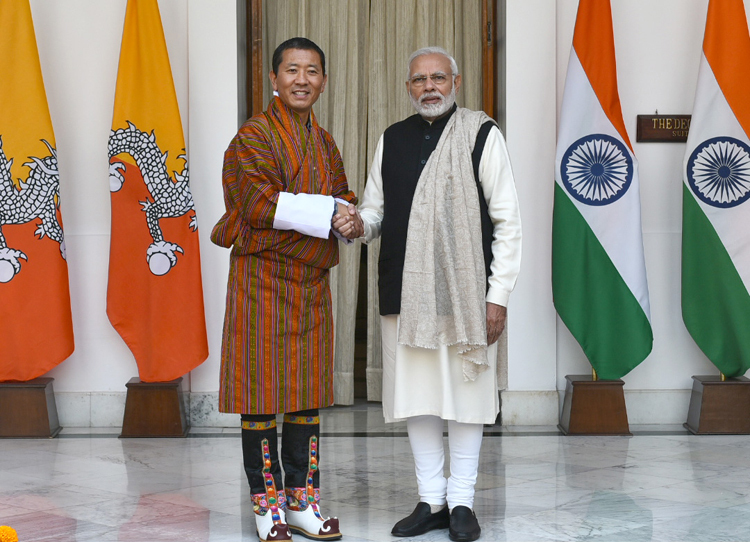 Tshering extended an invitation to Modi to visit Bhutan, which the latter accepted. Prime Minister, Narendra Modi and the Prime Minister of Bhutan, Dr. Lotay Tshering, at the Joint Press Statement, at Hyderabad House, in New Delhi on December 28, 2018. Located between China Occupied Tibet (COT) and India, Bhutan is proximate to the Siliguri Corridor; narrow strip of land linking mainland India with its eight north eastern states including, Arunachal Pradesh which China claims as 'South Tibet'. China's illegal occupation of Bhutan's Doklam Plateau was less to give depth to its defences in Chumbi Valley, more to exploit Bhutan's geostrategic location to dominate the India's Siliguri Corridor linking the northeast and to outflank the defences in Indian state of Sikkim. China and Bhutan have no diplomatic relations but In July 2018, Chinese Vice Foreign Minister Kong Xuanyou visited Bhutan, held talks with the King and the Prime Minister. Both sides reached a number of agreements and agreed to resolve the border, while Kong invited Bhutan to join China's BRI). 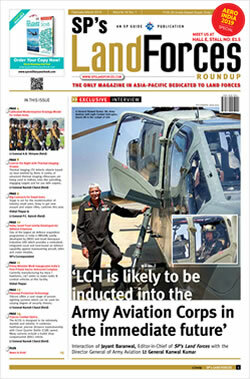 Kong's visit was timed just before the next parliamentary elections in Bhutan. China has already changed the territorial status quo by consolidating at Doklam plateau; forcing India's boundary with Bhutan as also Bhutan's de facto boundary with China - a change China apparently planned at least four years before intruding into Doklam. In the October 2018 Parliamentary elections in Bhutan, Lotay Tshering's Druk Nyamrup Tshogpa (DNT) party won with overwhelming majority. It is very likely that Tshering's victory was engineered by China since Tshering indicated his China leanings in his pre-election statements. Bhutan has assiduously worked to retain its culture and identity, but Chinese are adept in political and economic warfare, far advanced than India, and have loads of patience and time. How they will use Tshering to further her national interests will need monitoring. As Bhutan opens up to private sector investments, China can be expected to pounce at every opportunity. Tshering and his party, DNT, are keen to strengthen relations with China. During his visit to India, Tshering insisted Bhutan should be paid more for electricity from the Mangdechhu project, Sunkosh Reservoir project should start early and India's GST should be reduced for Bhutan. Bhutan has not sought any increase in aid amount for the 12th Five Year Plan, because of which India's budgetary support declined to 14% compared to 23% in the 11th Five Year Plan. India has indulged in actions like withdrawing subsidies for gas and kerosene in the past, which resulted in Bhutan being hit by high fuel prices. India's imposition of GST in July 2017 brought Bhutan's 65 crore (US$650 million) Cardamom trade to complete halt due to knots in Indian official formalities, leading to large-scale illegal cross-border trade. Such acts hardly align with India's 'Neighbors First' policy. Bhutan had requested India to take Cardamom out of the purview of GST. Apparently there is no response from India though making the GST exception for Cardamom in case for Bhutan can hardly dent India economy. India is content Bhutan is dependent on India for trade but it was similar consolation with respect to Nepal. Yet, Nepal is now in China's lap. In addition to investment in development projects, China will be angling to establish road and rail communications with Bhutan, whatever coaxing, cost and time it takes. China is also likely to aid Bhutan's 12th Five Year Plan in major, which the Tshering government would perhaps readily accept. India needs to fine tune its foreign policy accordingly and address its dismal record with regard to timely completion of projects on foreign soil.